of the Religious Studies major program, but are offered to HSU students in general as a way of encountering religious life first hand. 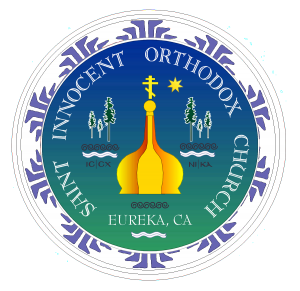 Religious Studies maintains relationships with various religious communities in Northern California who provide opportunities to receive introductory teachings and participation in religious practices as a sort of field work experience in the study of relgion. Our workshops are varied in style, content, and traditional orientation. Members of the community are welcome to attend, and may sign up for registration and credit through Extended Education. See the Full Color posters of workshops for the past year (2014) as 2015 is not yet available. Generally experiential workshops give you the opportunity to engage directly with religious communities by participating in rituals, discussion, community gatherings, and other sorts of activities. Participation in various forms of worship and ritual are on a purely voluntary basis, guided by principles of participant observation. Most of these weekends are conducted on weekends, and usually they will involve participation on Friday evenings, Saturday, and/or Sunday. Many of these workshops are local, but some are out of town. Local events typically are held at a site where the religious community meets (e.g., a church or synagogue), and students need only go to the location. Out of town events involve travel out of town, and students are responsible for their own transportation. Usually students make arrangements for ride sharing. There are no fees for these workshops, but donations are requested/required for out of town workshops, especially when the religious community provides food and shelter. Many workshops require attendance at an organizational meeting before the weekend, and most require a simple writing response after the event. Usually there is very little reading or homework required. The emphasis is on participation and involvement with community members, ritual life, teachings from within the community, and so forth.